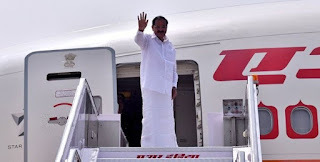 The Vice President of India M. Venkaiah Naidu embarked on his first Africa visit from 31st October to November 6. In his week long visit, he will visit Botswana, Zimbabwe and Malawi where he is scheduled to interact with heads of state of the three nations, business fora and address Indian Community. 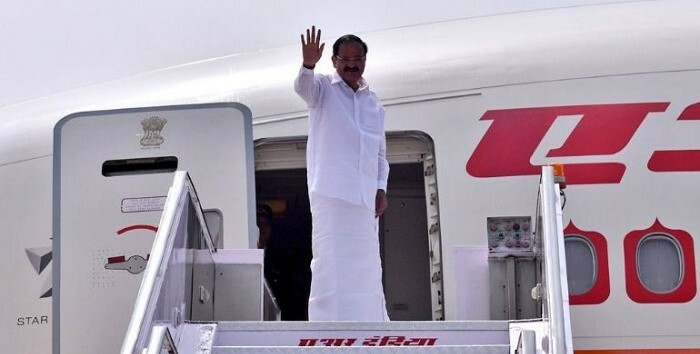 The Vice President will reach Botswana’s capital Gaboron on 31st October evening to attend the Official opening of the 13th Annual Global Expo where 25 Indian companies are participating for the first time showcasing India’s economic and Industrial proves. On November 1, Vice President Naidu will interact with the Vice President of Botswana, Mr. Slumber Tsogwane to hold Delegation Level Talks. On 2nd November, the Vice President is scheduled to participate in the India-Botswana CEO Roundtable where he would interact with businessmen and investors of both the nations and proceed to visit Diamond Trading Centre, Botswana. On Saturday, November 3rd, the Vice President will call on the President of the Republic Zimbabwe, Mr. Emmerson Mnangagwa before meeting the Vice President, Mr. General (Retd) Dr. Constantino Chiwenga. Both the Vice Presidents will witness the Signing of Agreements. On 4th November, the Vice President will take part in the Ground Breaking Ceremony of Chancery Building before emplaning for Lilongwe in Malawi. On Monday, November 5, the Vice President of India is scheduled to participate in the India Malawi Business Meet.